Microsoft Corporation has been founded by Bill Gates and Paul Allen on 4 April 1975. From Yahoo! 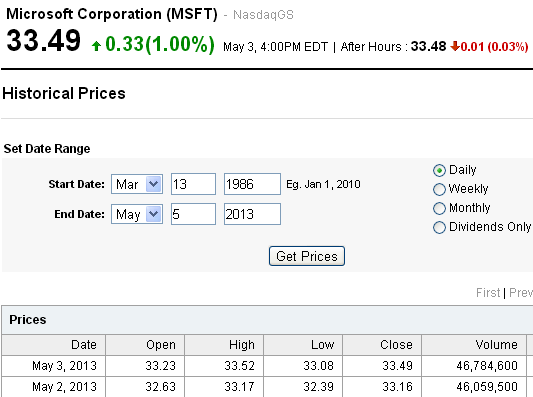 Finance you can download MSFT stock data back until 13 March 1986. You can analyze this data using eg. : Chartoasis Sesame or this free technicalanalysis software.